The American Society of Human Genetics (ASHG) has named Robert L. Nussbaum, M.D., Chief Medical Officer of Invitae and Clinical Professor of Medicine (Volunteer) at the University of California, San Francisco (UCSF); Roderick R. McInnes, C.M., M.D., Ph.D., Director of the Lady Davis Institute at the Jewish General Hospital and Alva Chair in Human Genetics, Canada Research Chair in Neurogenetics, and Professor of Human Genetics and Biochemistry at McGill University; and Huntington F. Willard, Ph.D., President and Director of the Marine Biological Laboratory and Professor of Human Genetics at the University of Chicago; as the 2015 recipients of its annual Award for Excellence in Human Genetics Education (http://www.ashg.org/pages/awards_overview.shtml#education). The ASHG award recognizes an individual or group for contributions of exceptional quality and importance to human genetics education internationally. Awardees have had long-standing involvement in genetics education, producing diverse contributions of substantive influence on individuals and/or organizations. This year’s award presentation, which includes a plaque and monetary prize, will take place on Friday, October 9, during ASHG’s 65th Annual Meeting (http://www.ashg.org/2015meeting/) in Baltimore, Maryland. The three recipients will make a few remarks after jointly accepting the award.Individually and together, the ASHG Awards Committee noted, each of this year’s recipients is an accomplished geneticist and educator. Over the years, all three awardees have taught regularly, as well as run their own laboratories, and have been involved in program development and/or mentoring at various levels. Dr. Nussbaum has worked on elucidating the genetic basis of disease, including the heritable forms of Parkinson disease, Lowe syndrome, and choroideremia. On June 22, 2015, the ReNeuron Group plc (AIM: RENE), a leading UK-based stem cell therapy company, announced the extension of an ongoing research collaboration with Australia-based Benitec Biopharma following positive results in early studies. Researchers at ReNeuron and Benitec, a leader in the field of therapeutics focused on gene silencing, have discovered that ReNeuron’s CTX-stem-cell-line-derived exosomes are potentially an effective delivery system for Benitec’s proprietary DNA-directed RNA inhibition (ddRNAi) gene silencing technology, resulting in the silencing of specific genes in recipient cells to beneficial therapeutic effect. These early studies also indicate that ReNeuron’s CTX stem cells are a more effective producer cell type for this purpose than are mesenchymal cells, a widely used cell type against disease targets in stem cell therapy. Following these exploratory studies, ReNeuron is extending its research collaboration with Benitec in order to further test the potential of this combination technology approach, targeting lung cancer and other drug-resistant cancers. ReNeuron is a first-mover in the field of exosome-based therapeutics and has filed multiple patent applications covering the composition, manufacture, and therapeutic use of its exosome nanomedicine platform. 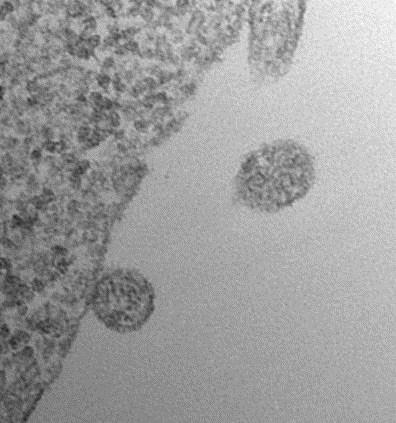 Exosomes are nanoparticles secreted from all cells and which are believed to play a key role in the transfer of beneficial proteins and particularly non-coding RNAs from one cell to another. ReNeuron aims to exploit the therapeutic potential of exosomes derived from its own proprietary stem cell lines. Dr. Peter French, Chief Executive Officer of Benitec, commented: “We are delighted to be working with ReNeuron in this exciting emerging field of gene- and cell-based therapeutics. Stringing together meaningless sounds to create meaningful signals was previously thought to be the preserve of humans alone, but a new study, published online on June 29, 2015 in the open-access journal PLOS Biology, has revealed that babbler birds are also able to communicate in this way. Researchers at the Universities of Exeter in the UK and of Zurich in Switzerland discovered that the chestnut-crowned babbler – a highly social bird found in the Australian Outback – has the ability to convey new meaning by rearranging the meaningless sounds in its calls. This babbler bird communication is reminiscent of the way humans form meaningful words. The research findings reveal a potential early step in the emergence of the elaborate language systems we use today. Lead author Dr. Sabrina Engesser from the University of Zurich said: “Although previous studies indicate that animals, particularly birds, are capable of stringing different sounds together as part of a complex song, these songs generally lack a specific meaning and changing the arrangement of sounds within a song does not seem to alter its overall message. In contrast to most songbirds, chestnut-crowned babblers do not sing. Instead its extensive vocal repertoire is characterized by discrete calls made up of smaller acoustically distinct individual sounds,” she added. “We think that babbler birds may choose to rearrange sounds to code new meaning because doing so through combining two existing sounds is quicker than evolving a new sound altogether,” said co-author Professor Andy Russell from the University of Exeter, who has been studying the babblers since 2004. The researchers noticed that chestnut-crowned babblers reused two sounds “A” and “B” in different arrangements when performing specific behaviors. Scientists from the Florida campus of The Scripps Research Institute (TSRI) have found that a type of genetic material called “microRNA” (miRNAs) plays surprisingly different roles in the formation of memory in animal models. In some cases, these RNAs increase memory, while in other cases these RNAs decrease memory. “Our systematic screen offers an important first step toward the comprehensive identification of all miRNAs and their potential targets that serve in gene networks important for normal learning and memory,” said Dr. Ron Davis, Chair of TSRI’s Department of Neuroscience, who led the study. “This is a valuable resource for future studies.” The study was published in the June 1, 2015 edition of the journal Genetics. The article is titled “MicroRNAs That Promote or Inhibit Memory Formation in Drosophila melanogaster.” Unlike some types of RNA, miRNAs do not code for proteins, but instead regulate various biological processes by modulating the level of gene expression. A number of studies have shown that miRNAs are critical for normal development and cellular growth and may contribute to the complexity of neurodegenerative diseases. In the new study, 134 different miRNAs were tested for roles in learning and memory in the central nervous system of Drosophila melanogaster, the common fruit fly, which is a recognized animal model for memory studies. The researchers tested the potential involvement of miRNAs in intermediate-term memory by silencing them individually and identified at least five different miRNAs involved in memory formation or retention. “Among the five miRNAs identified in this study, we found one that is necessary for memory formation,” said Research Associate Dr. Germain U. Busto, a first author of the study with Research Associate Dr. Tugba Guven-Ozkan. On June 30, 2015, it was announced that Professor Ludvig M. Sollid and his colleagues at the University of Oslo have reportedly established the cause of celiac disease. To do so required really going into depth, right down to molecular level. The scientists first determined that two specific human leukocyte antigens (HLAs) HLA-DQ2 and HLA-DQ8 predispose individuals to celiac disease Professor Sollid explains: "Human leucocyte antigens (HLAs) are found as genetically determined variants in all humans. The task of HLAs is to bind to fragments of proteins that are broken down in the cells, transport the fragments to the cell surface and present them to the T-lymphocytes. The T-lymphocytes, or T-cells, are a particular type of white blood corpuscle that is important to the immune system. The T-cells monitor cells for viral or bacterial infections. They detect infections by finding remnants of viruses or bacteria as fragments bound to HLAs. If any are detected, the immune system will ensure that the infected cell is killed. The T-cells of people with celiac disease think gluten is a virus or bacterium, and therefore cause an immune reaction that we experience as an infection, with associated discomfort," says Professor Sollid. At least 1 % of the inhabitants of Europe have celiac disease. This is a partly hereditary disease that may place considerable strain on patients and their families. If you develop the disease, you have to change your diet and live with the disease for the rest of your life. The immune system of patients with celiac disease reacts to gluten proteins from cereal grains, causing inflammation of the mucous membrane of the small intestine. This reaction to gluten causes the immune system of celiac patients to attack their own bodies.